When American artists Brad Davis and Janis Provisor decamped in China in 1994, they fortuitously founded Fort Street Studio — now the world’s foremost luxury carpet company. 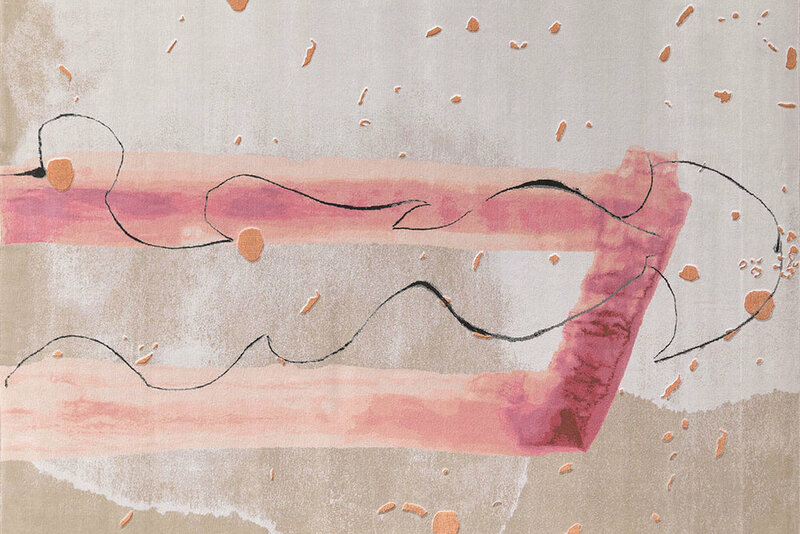 From their apartment in Hangzhou, in the search of something just for themselves, the duo took their distinctive painterly artworks as inspiration and applied them to a pattern for a woven silk carpet. In the process, they pioneered a carpet style that is now so celebrated that it belies the tedious and skilled nature of the techniques involved. Over two years went into research and development to determine how to transform their distinctive artworks into a format that could be understood by the weavers. That first carpet came off the looms in the fall of 1996, and the pair have hardly had a chance to look back since. Fast forward 20 years and the increased availability of computer software has made designing the rugs both faster and easier to copy. But with a shrinking pool of master dyers and weavers with each passing generation, the carpets are ever more difficult and time consuming to produce. Despite their seriously impressive artist credentials, the duo has insisted that the carpets not be viewed as artworks, but rather completely functional and usable pieces of (highly tasteful) home decor. Each of their designs takes into account a sense of symmetry, adaptability around various room shapes, sizes and furniture arrangements, and is customisable in terms of shape, size and colouring. Their latest collection, however, represents somewhat of a departure. Born of the desire to work outside their usual self-imposed constraints, Progetto Passione straddles the worlds of art and collectable design. The eight designs that make up the Progetto Passione collection are 150 knot wild silk and took three years to create from the initial designs to the finished carpets. ‘Not only is this an artistic collaboration between the two of us but also with our masterful weavers in our workshop in China, of whom there are only six who have the expertise to weave these pieces,’ adds Provisor. Part of the motivation behind the ambitious collection is the dwindling availability of skilled weavers who can produce such highly complicated designs. Each piece requires at least four to five months on the loom, meaning the designs will be limited to between five and eight per run, depending on its complexity. And in case you were be wondering — these may be some of the last carpets of their kind ever produced. The origins of the collection inspired its nomenclature. Pieces are named after real or fictitious Italian towns, plus other Italian words alluding to the collection’s underlying passion project roots. ‘So we've entitled the collection Progetto Passione!’ explains Davis with excitement.